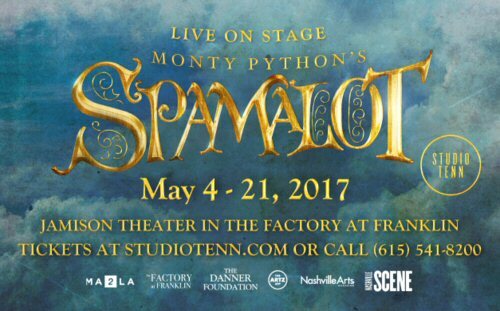 From May 4-21, 2017 Studio Tenn based out of the Jamison Theater in The Factory at Franklin, Tennessee performed Spamalot the hilarious musical based on the 1975 movie Monty Python and the Holy Grail. This parody of the Arthurian Legend won three Tony Awards when it premiered on Broadway back in 2005. Studio Tenn’s show that we saw in mid-May featured fine acting, costumes, set design and singing thus carrying on the tradition of this popular play. The Factory is a historical landmark housing an eclectic mix of entertainment, restaurants, shopping and the Jamison Theater. The venue has comfortable seating paired with state-of-the art lighting and sound. Studio Tenn also provides a place for patrons to enjoy Broadway plays in a city where currently only a few theaters are featuring productions from the Great White Way. Studio Tenn is a professional, non-profit theater company that strongly supports the exchange between actors and a live audience. “Overture” from the small orchestra at the back of the stage started the show with music before a historian gave us a quick lesson about medieval England. The first of many miscommunications led to the opening number “Fisch Schlapping Song” a colorful and comical composition about Finland. The historian is frustrated with the Finns as he was talking about England. The next moment we found ourselves in the Dark Ages with chanting monks banging their heads with books before the “hero” King Arthur was introduced. He is traveling with his servant Patsy whose main job was hitting coconut shells together to craft the sound of horse’s hooves in an attempt to make it appear that the King was actually riding. Arthur was on a mission to recruit men for the Knights of the Round Table. His first encounter with sentries was fruitless as they were more interested in where Arthur got the coconuts. The two quickly digressed into a funny debate about swallows carrying the fruit to the UK. Much of Act I involved Arthur’s search for knights. His meeting with Dennis Galahad and his mother resulted in political commentary where the two deny any king not elected by the people. The King had to prove his right to rule by calling on the lovely Lady Of The Lake and her Laker Girls who in a pageantry of dance and prose share the story of why Arthur is King. Dennis is convinced. He is knighted and finds himself singing a standard Broadway love ballad “The Song That Goes Like This” with the Lady of the Lake. Soon they were joined by Sir Robin, Sir Lancelot with Sir Bedevere and “the aptly named” Sir Not-Appearing-In-This-Show coming together for the animated “All For One”. The five knights gather in Camelot a place that resembled Las Vegas’s Camelot-inspired Excalibur resort, complete with showgirls and the Lady of the Lake headlining the Castle in full Cher get-up for “Knights Of The Round Table”/”The Song That Goes Like This (Reprise)”. Here Studio Tenn took some liberty to localize Camelot. The girls wore sparkling cowboy hats and a “Ye Ole Pedal Tavern” rolled across the stage. In the middle of their revelry the voice of God was heard. The Knights are given the quest to search for the Holy Grail. A few of the gallants question that if God is all knowing why does he need them to look for a lost cup. Arthur explains that it’s a symbol as a cymbal crashes. Urged by the Lady Of The Lake singing “Find Your Grail” they set off for adventure. Act I closes with the troop being taunted by saucy French soldiers. They “Run Away” and are separated. Act II followed the King and his knights on their own personal grail searches which resulted in more misadventures, misunderstandings and self-discovery. Highlights included the classic “Always Look On The Bright Side of Life” and the flamboyant disco inspired “His Name is Lancelot”. Spamalot also touched on contentious topics such as class, homosexuality and racism – all aptly handled with dance, humor and music by the talented team at Studio Tenn. In the end the knights are reunited and the Holy Grail was found so the quest ended on a happy note. Studio Tenn’s version of Spamalot had it all-talented actors/actresses, colorful costumes and stellar stage design. Studio Tenn’s mission is “to create compelling musicals, plays, concerts and experiences through artful storytelling and innovative design, and to cultivate a meaningful understanding and appreciation of the artistic process in performers and audiences of all ages through education and engagement” and in the case of Spamalot to present a comical and somewhat controversial musical. 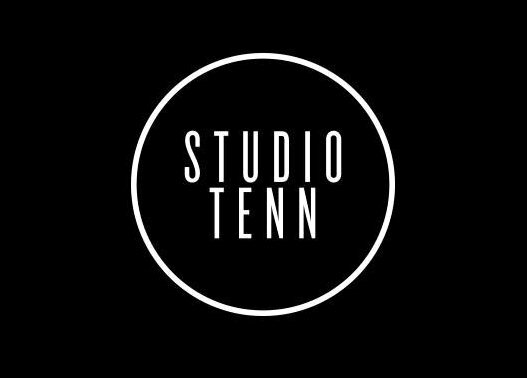 Founded in 2009, Studio Tenn is a non-profit, professional theater group based out of Franklin, Tennessee. They are backed by corporate and individual sponsors who support Studio Tenn’s vision “to become a theatre company that is embraced locally, engaged regionally and respected nationally, and to elevate Middle Tennessee to national prominence as a vibrant, viable birthplace and destination for world-class professional theatre.” Spamalot capped off a successful year for Studio Tenn but not content to rest on their laurels Studio Tenn has already lined up an impressive 2017/2018 season which will feature The Battle of Franklin, The Lion Witch and the Wardrobe, Doubt and Grease.